There are many printers to choose from, depending on your need and budget. Some are made for the home user and others were designed for business purposes. Inkjet printers provide good quality images while laser printers are faster and produce better looking text. There are printers that print strictly in black and white or monochrome while others print in full color. Also available are all-in-one printers that are equipped for scanning, photocopying and/or faxing. 2. It has simple operation system and prints directly from Smartphone. 3. Increases productivity due to fast printing speed. One of the leading brands for the finest printers, HP has been making bestsellers for years like the HP OfficeJet 4650 All-in-One. This inkjet printer has an automatic document feeder and duplexer and can also print via WiFi. A fax feature is included aside from scanning and photocopying. Ideal for printing photos, the printer produces precise details and images in vivid color. Print speed and paper handling is average. It lags in performance and quality when printing text though. The HP Envy 4520 All-in-One is an inkjet printer that delivers brilliant color and satisfactory text prints. It can print via WiFi, photocopy and scan. It also includes a duplexer for printing on both sides. Print speed is right on target and ranks among the best for photos, but it’s noticeably slow for text although the text produced was of decent quality considering that it’s an inkjet printer. It’s controlled via touch screen, which in this model is a little fiddly to handle. Canon has always made superior technology and this is clearly seen in their printers such as the Canon MG6820. This inkjet printer is designed for printing, copying and scanning. The WiFi feature lets you print photos straight from your smartphone. A duplexer is also included, to make printing on both sides of the paper more efficient. Another great thing about this printer is that it does not just print images in vibrant colors, it also excels in printer speed. The touch screen is a good size as well, making it easy to operate. The Canon PIXMA MG3220 is an inkjet printer that highlights Canon’s photo editing and organizing software. It offers double sided printing with the use of a duplexer and it can print from any Apple device via WiFi thanks to the Apple AirPlay feature. Besides printing, the Canon PIXMA MG3220 is also capable of photocopying and scanning. The image colors and text quality are passable, and the low price of this printer makes it a real bargain. Another top brand for superb quality printers is Epson and their Epson Expression Home XP-420 Small-in-One has especially earned praises from users. This multifunction inkjet printer is space-saving and prints through WiFi from any iOs technology. Other than printing, it also scans and copies. The print speed is superb and the quality of the images is great, with the colors clear and bright. Text is surprisingly good, too. Although it lacks a duplexer and automatic feeder, for a home user, the Epson Expression Home XP-420 is a terrific choice. The Epson Expression XP-600 is an inkjet printer that copies, prints and scans while being compact and not taking up too much space. It’s manipulated with a convenient and responsive touchscreen. Print speed is also par excellence, and that combined with the quality of the images gives it an edge over other similar models. The text quality is understandably not really a high point but it will pass muster for ordinary documents. One downside of this printer is the lack of WiFi technology. However, it does have Ethernet capability which is not often found in other models. Just like all their other high-performing technology, Samsung makes excellent printers, including the Samsung Xpress SL-M2825DW. It’s a laser printer that handles a sizable amount of paper, up to 250 sheets with a decent print speed. Also featuring an automatic duplexer plus WiFi and Ethernet networking, it offers convenience and efficiency. The text quality is outstanding; however, since it’s a monochrome printer, image quality is limited to black and white. The Samsung Xpress SL-M2825DW is best suited for offices which need to print official documents regularly and quickly. The Samsung Wireless Monochrome Printer (SL-M2020W/XAA) is a laser printer that can be easily set up and does not need a lot of room. Its most useful feature is that it prints via WiFi and can even print from both Apple and Android devices. Text prints and black and white images turn out quite well and at a fairly good print speed. Despite the absence of a duplexer, this printer is recommended for its features and low price. It’s perfect for businesses that deal daily with documents as it prints text quickly but with good vivid quality. Best among the budget printers is Brother and if you’re looking for a reliable and durable but cheap printer, the Brother HL-1110 A4 Mono Laser Printer is your best bet. It’s small and conveniently needs only a little area on your desk. It prints in black and white and the paper tray can handle up to 150 sheets with a tolerably good print speed. A sturdy model with basic features and a very low price, this printer is for anyone who only wishes to print text documents occasionally. The Brother MFC-J475DW inkjet printer is one of Brother’s most competitive models. It can scan, copy and fax aside from print but does not cost much to purchase or maintain. It’s WiFi capable, a welcome feature, plus this model includes a duplexer for double-sided printing and the paper tray is good for 100 sheets. Both text and image quality are up to standard. With these features and high performance, the Brother MFC-J475DW exceeds expectations as a personal printer and is definitely worth buying. When finalizing your printer choice, don’t forget to check for details like wireless technology, number of papers it can handle, the amount of sheets it can print per minute and resolution for images. If you’re using the printer for your workplace or home office, take into account as well whether it can stand up to moderate and heavy printing. When it comes to buying a home printer, you could well find yourself surprised by the amount of choice you have. Printer technology has come a long way since the old dot matrix models (even though these are still around); allowing for faster print times, great colour reproduction, networking and multifunctional elements. 1. Determine a Budget…and Stick to it! Printers come in all shapes and sizes. They have a dazzling array of features, making them better suited for some environments than others. With all of this technology available, understandably the prices can differ. So before you get started on your hunt for the perfect printer, you need to have a budget set. This will ensure you don’t end up spending more on functions you don’t really need. If you are looking to do bulk prints regularly and don’t want to have excessive expense or hang around too long, then a laser printer or gel sprint would be your best bet. 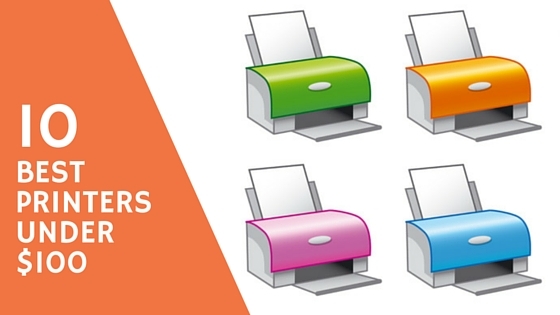 For smaller, infrequent printing jobs with no time parameters, go for an inkjet. If you want to integrate copier and scanning functionality, go for a multifunction model. Maybe you will be just printing out high quality images or photographs. In this instance, only a good quality photographic printer will do. It’s all well and good getting a printer that is perfect for your requirements here and now, but what happens a few months down the line when this changes? For example, you might find that you buy a mono printer to save a little money then, weeks later, you find that you need a regular batch of colour prints – suddenly you have to outsource or upgrade. Printers only have a certain lifetime, but you need to make sure that you are able to get the very most out of it during that period. So allowing for future growth is not always a bad strategy. 4. Which Features Are Essential? There are some features on a printer that we would all like, although the thought of paying additional cash for the privilege sews a few seeds of doubt. So it is important that you determine what is absolutely necessary for your home or business printing needs. If you are likely to do a lot of major projects where double sided printing will be a major benefit, then you will need a printer with a duplex printing option. Perhaps your printing output is usually around 300 pages a day, in this instance you will want a printer that has a tray that is big enough to handle these demands without continuously having to replace the paper. Don’t just go with the first printer that you find. Having determined how much you are looking to spend and what you need, it is important to find a few different alternatives to choose from. Weigh up the pros and cons of each, do a little research online and decide which one will work best for you. Not necessarily the most important, but you have to find a brand that is established and has a reputation for developing models of a certain standard. It’s all well and good saving some money by going with another brand, but if their consumables are exorbitant or customer services aren’t up to scratch, you could find yourself with all kinds of long-term headaches. Whether shopping on the high street or online, you need to buy from a business that enjoys a reputation for providing great products and after care services. It might be slightly more cost-effective to go elsewhere, but if you don’t get a warranty or can’t deal with anybody if anything goes wrong, you could be on a hiding to nothing. Look for reviews and talk with other people who have bought products from them in the past; this should give you a clear indication if it is worth going elsewhere or not. Particularly if you are buying online, you need to know what guarantees the seller offers and what method of delivery they utilise. You need to be sure that you will be receiving exactly what you thought you would be getting, not a printer that is full of costly extras or something that is out of stock for weeks.